Shell GTL Fuel, a liquid fuel made from natural gas, burns cleaner that conventional diesel from petroleum and therefore produces less emission and less visible smoke. This innovative fuel is a ‘drop-in’ diesel replacement, which means that you can use it for your current fleet and it doesn’t require any investment or adjustment to your fleet. 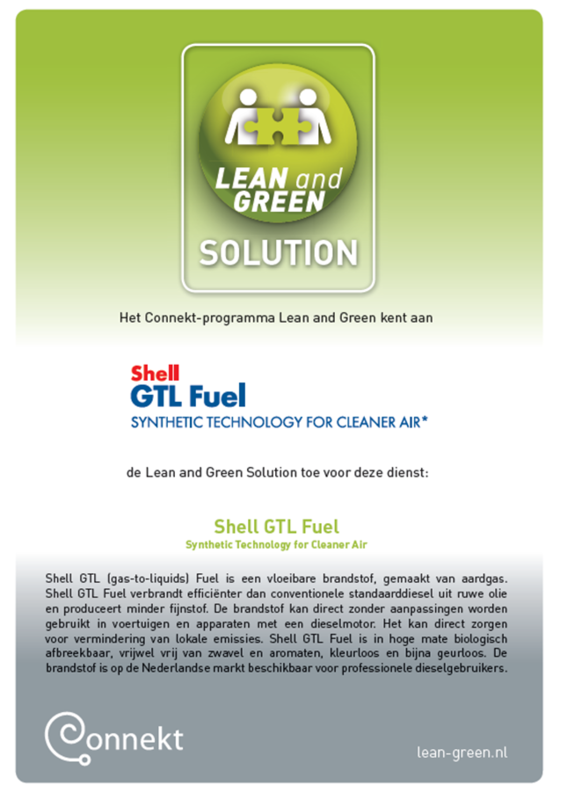 Shell GTL Fuel is a Lean and Green solution for cleaner air.